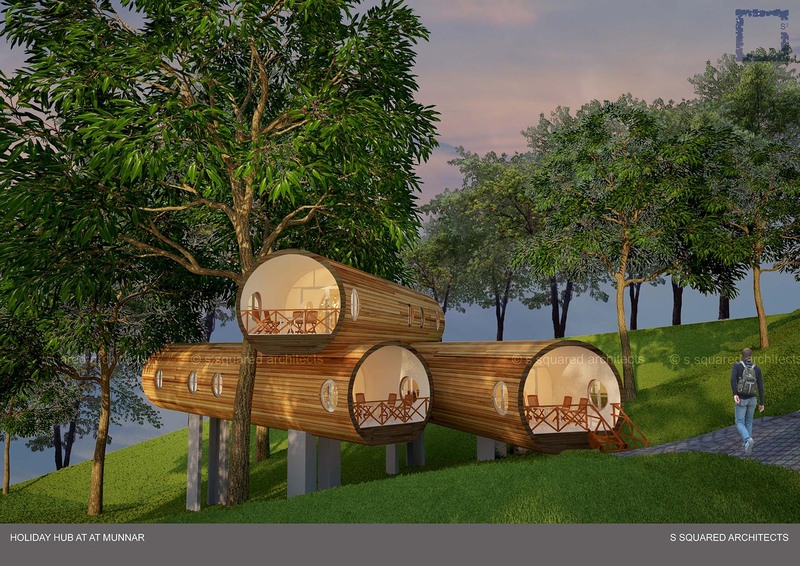 A holiday hub at Munnar with the log rooms concept. The construction of the place has been done without affecting the topography of the region. An elevated design has been planned that ensure that minimum modifications are needed to be done to the terrain of the place.